Top 3: Kids festivals 2018 ft. CBeebies Summer Social & Shrewsbury Folk Fest. The thing about kids is, come rain or shine, they love a special occasion – and what could be more special than your own festival! Three of the best kids festival in the UK are within a two hour drive on Manchester, so have a browse and pick your favourite. Our selection includes Just So, CBBC Summer Social and Shrewsbury Folk Festival but we’ve heard great things about Y Not, Deer Shed and The Good Life Experience too. The line-up continues to expand for this year’s CBBC Summer Social which takes in Mackenzie Ziegler, Mr Tumble, Shrek the Musical, Northern Ballet and more. We expect this one to sell out soon. 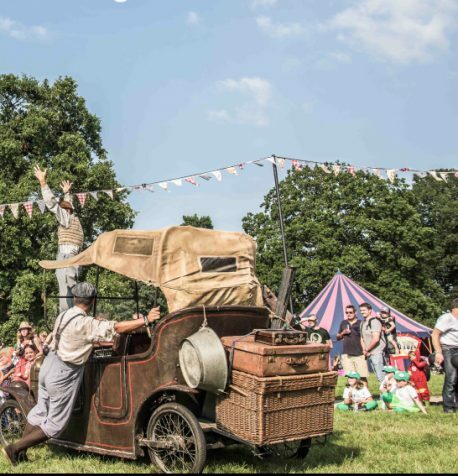 Probably the best children’s festival in the world, Just So is a touchy feely event, packed with story telling, pillow fights, ice cream and great street food. The music’s not loud and everyone’s in bed by midnight. The country park setting is wonderfully refreshing too. There’s a devoted children’s festival as part of this open-hearted event called Pandemonium. The field is located in a contained space, just off the main arena so kids and parents feel part of the action and the big weekend ends with a home-made lantern procession around the site on Sunday night. For more fun and family friendly events this summer, click here.